Accountancy giant Deloitte has been awarded an alternative business structure (ABS) licence, six months after it unveiled plans to go head-to-head with law firms. The Solicitors Regulation Authority (SRA) has approved Deloitte’s application to operate as a multi-disciplinary practice. The licence — which came into effect on 15 June — allows the firm to provide reserved legal services in the UK, namely rights of audience, conduct of litigation, reserved instrument activities, probate activities and administration of oaths. Today’s confirmation means all ‘Big Four’ bean counters now have a legal arm. PwC‘s legal operation secured ABS status at the start of 2014, while KPMG and EY received SRA approval later that same year. For those of you looking for a training contact, Deloitte has yet to announce whether it will be offering them. In January, when its ABS ambitions were first unveiled, Deloitte told Legal Cheek the matter was “under review”. Its rivals, however, do offer them. PwC currently takes on around 25 rookies annually, while EY offers a training contract which you don’t need a 2:1 to apply for. KPMG announced back in 2015 it was offering training contracts but remained tight-lipped about exact numbers. Back to Deloitte and this month it announced an alliance with US immigration law firm Berry Appleman & Leiden (BAL) to create a new global immigration service. 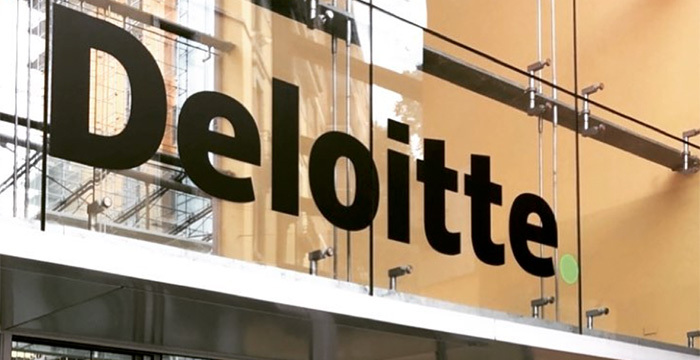 The move sees Deloitte take over eight of BAL’s non-US offices, in: the UK, Singapore, Australia, Dubai, China, South Africa, Mozambique and Brazil. The post Accountancy giant Deloitte enters legal services market appeared first on Legal Cheek.